It’s seriously 2am right now but I’ve decided I can’t sleep so I’m writing this week’s blog post. Maybe I shouldn’t be, since I’m hungry AF and making an entry about food (drools!). Still on the theme of Hong Kong . . . are you bored yet? Because I could go on for days, months (years maybe) and never get sick of revisiting my HK photos. 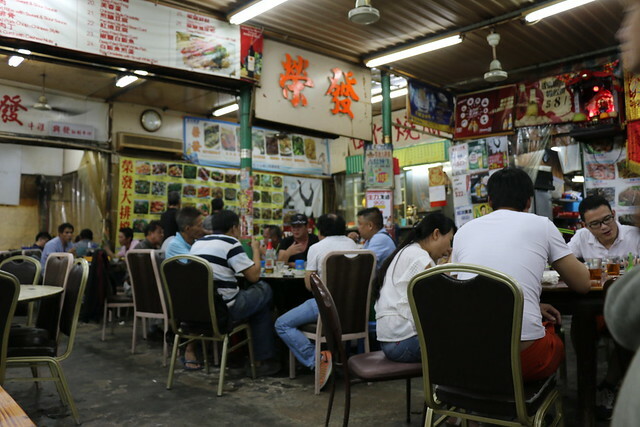 One of the biggest elements of Hong Kong is eating at a dai pai dong. According to Wikipedia, it is a stall/ restaurant that isn’t enclosed. There are tons of them on most popular streets, blocking some roadways with chairs and tables. 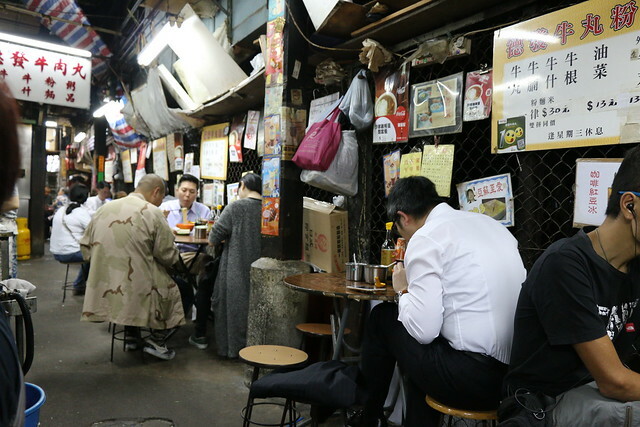 Some dai pai dongs are even together, meaning a few of them share the same space and tables, just like a food court. It can get crazy, depending on where you end up. 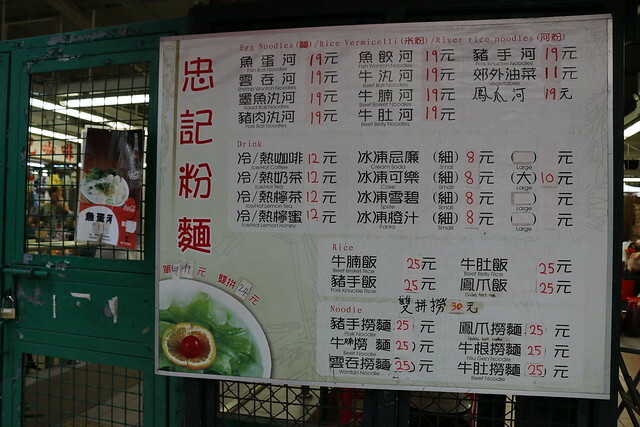 Some people lure you by showing (forcing) their menus into your face. . . I would just walk away. 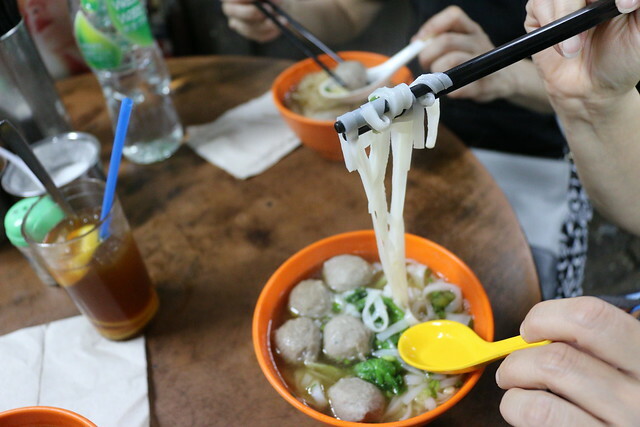 If you’re a picky eater, I’m sure there will be something for you. 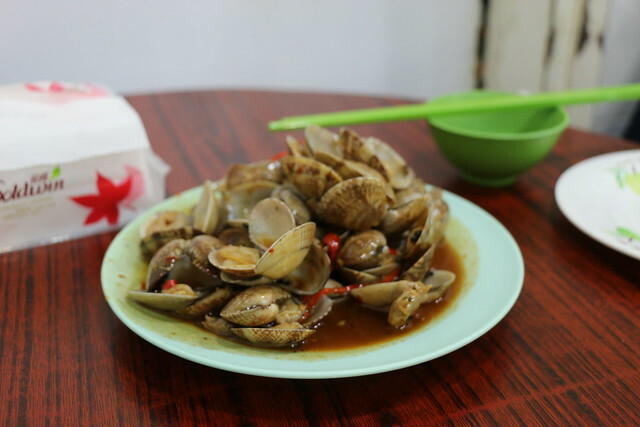 There are tons of stuff on the menus and if it’s not, just ask to see if the kitchen can cook it for you. The atmosphere differs, depending on where you go. Some are filled with 99% men, that smoke and drink for hours. I’ve seen a lot of tourists at other places. I have a lot of respect for these cooks. 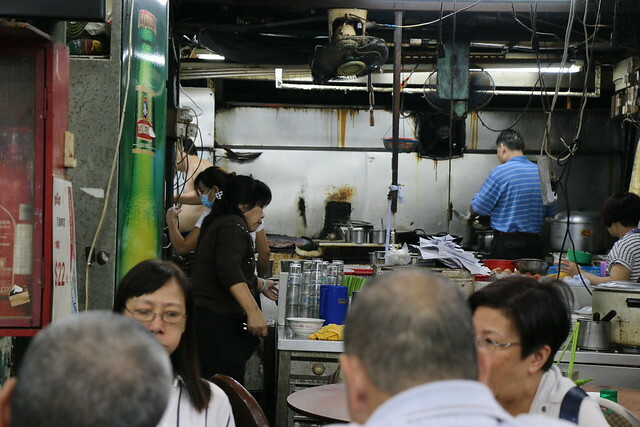 They cook in the hottest kitchens, wearing regular clothing, never mind safety shoes. 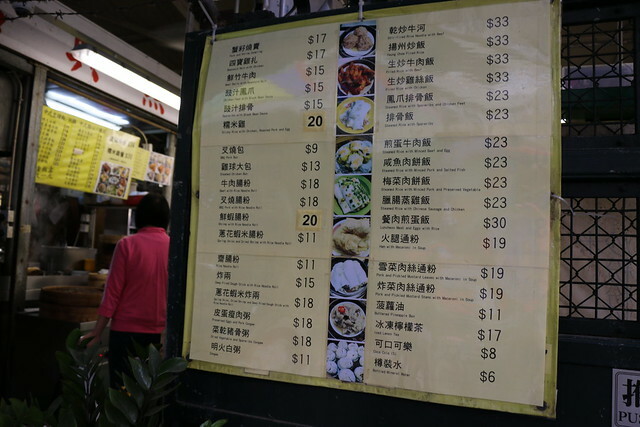 I think this was the first time during this trip that we had a meal at a dai pai dong stall. My aunt (below) is happily rinsing the dishes with hot tea. 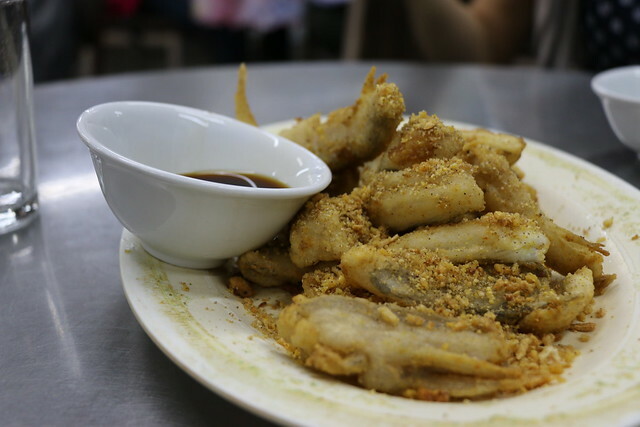 椒鹽九肚魚 aka Bombay Duck. It’s slimy and melts in the mouth. 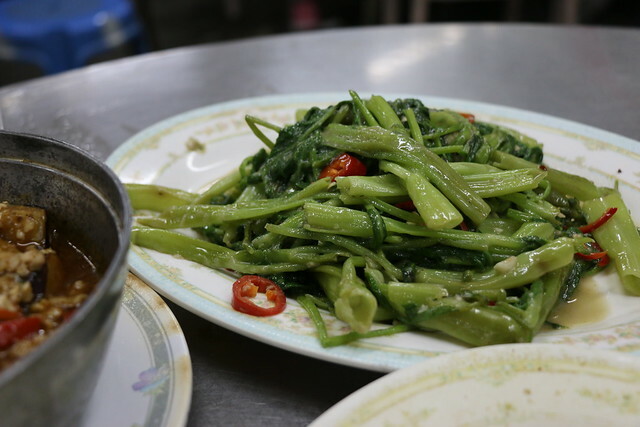 Water spinach with bean curd. 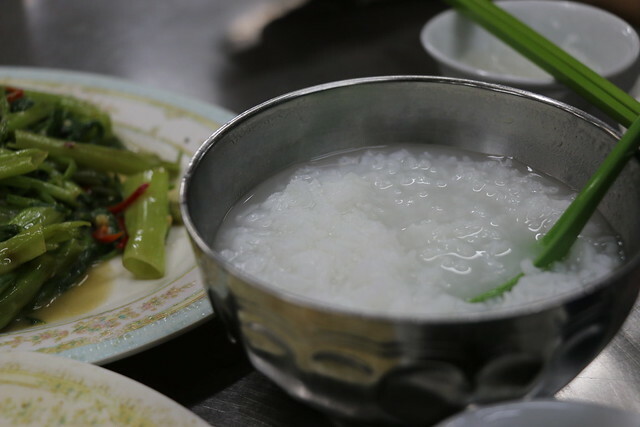 Chiu Chow congee aka a mixture of rice and water. This was a special place for my mom and aunt. 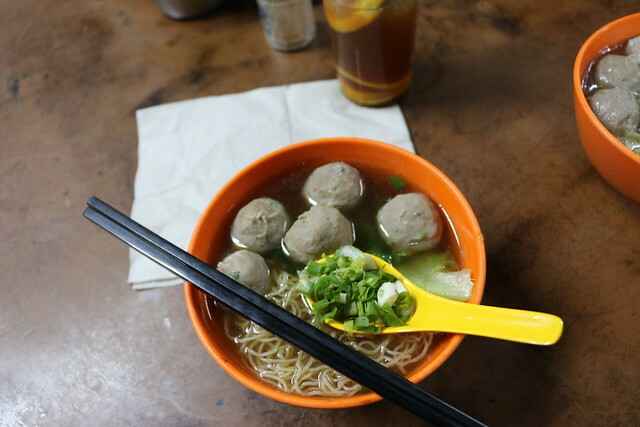 While we ate at the noodle stall, my mom was reminiscing the old times, telling me that she used to go after school to eat a bowl of noodles with the shops famous hand made beef balls. 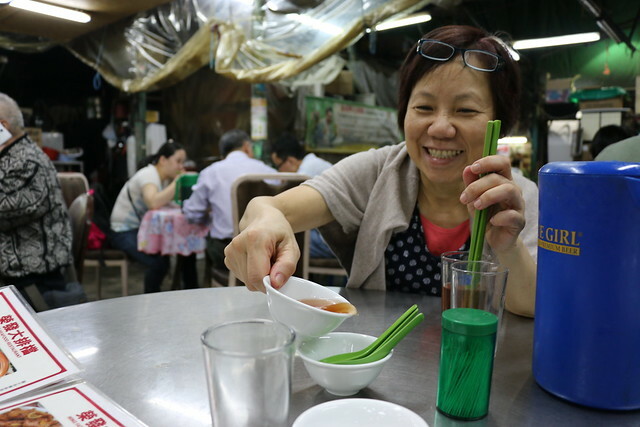 She was also telling the owner that when she used to eat here she paid 3 HKD for a bowl. It’s about 8-9 times that now (you can see in the photo below). You can find a wide assortment of people to eat here. There are men and women in business suits to touristy people like my mom and I. The three of us had quite a number of meals at these restaurants. 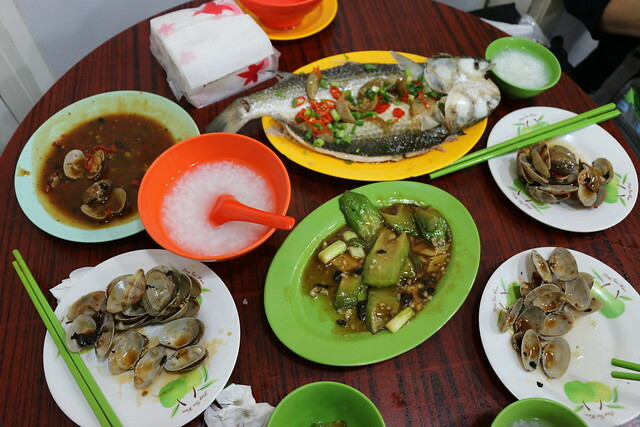 We literally ordered more than we could eat (obviously, I finished what they couldn’t eat). – You can’t cook some of the dishes at home. 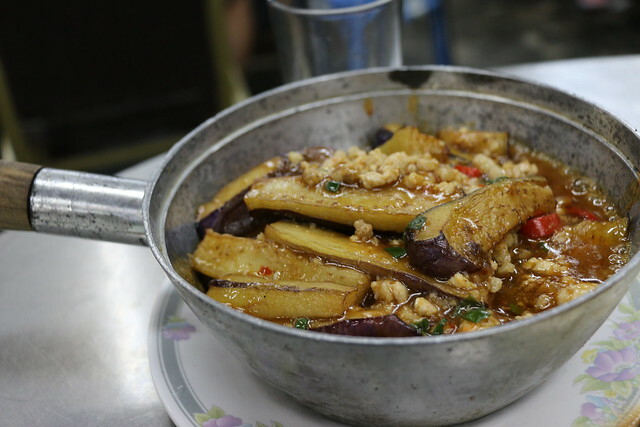 It’s just not the same, the favour and the smell of the wok, you can actually taste it in the food. – Eat for the atmosphere. I know that sounds cliche but it’s a really vibrant and welcoming feeling. I promise you that you won’t regret.